Time to renew your vehicle or trailer license plates? Consider updating your plates to the Montana Cutting Horse Association license plate. 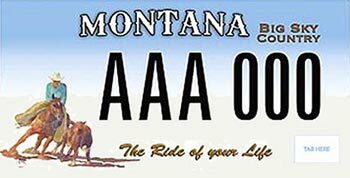 Through the State of Montana, Montana Motor Vehicle Division, "Sponsored Plates" are available for purchase by those licensing vehicles and trailers within the State of Montana. The Montana Cutting Horse Association sponsored plate has been available since November 2010, when introduced by then MCHA President, Todd Wirthlin. By purchasing these plates, people show their support for our organization and promote the sport we love, as well as make a financial contribution to its work.